The team that created the stunning new opera As One has reunited to create Some Light Emerges for Houston Grand Opera’s HGOCo. Premiering in March 2017, the opera celebrates the unique and enduring impact of Houston’s Rothko Chapel, which was created by painter Mark Rothko. 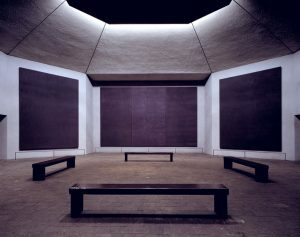 A stunning octagonal structure that serves as a non-denominational chapel, the structure is filled with 14 paintings by Rothko, and was completed in 1971. View excerpts from the premiere production.